State Superintendent of Public Instruction Joy Hofmeister listens to ideas from her Student Advisory Council at the State Capitol in January. Last week I had the honor of meeting with 99 outstanding Oklahoma student leaders from high schools in every corner of the state. We met at the State Capitol to focus on three topics: redefining the senior year, defining a well-rounded education, and ensuring safe, supported and engaged school communities. Students pooled their ideas during small breakout discussions, then shared them with the rest of the group. I was so impressed by how informed these students were about public education and their obvious passion for it. The Superintendent’s Student Advisory Council is one of 15 education focus groups here at the State Department of Education. The hundreds of stakeholders involved discuss everything from combatting the teacher shortage to strengthening community involvement and eliminating costly and unnecessary regulations from public education. These ongoing conversations with stakeholders are vital to lifting outcomes for our children and presenting them with the best future possible. I need to hear from teachers like you on the front lines, who are working every day, one-on-one, with our kids. Your perspectives not only help us shape policy, they are the only ones informed by the vantage point of the classroom. Last session, many of the recommendations that originated in our task forces and advisory councils were signed into law. The new legislative session begins Feb. 6, and we again stand ready to advocate for policy that makes a positive difference for the schoolchildren of Oklahoma. Your voice makes a difference. If you would like to provide feedback to the OSDE, send an email by clicking here. 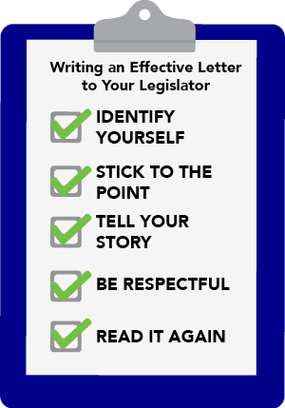 To give your thoughts on legislation, please reach out to your state legislator. Use the “Find My Legislator” search function. As always, you can reach me directly. To email me, click here. IDENTIFY YOURSELF: It’s important for your representative to know that you are a constituent. Include your residential address. Also identify your role as it relates to the issue. If you are writing about education, mention if you are a teacher and/or parent. 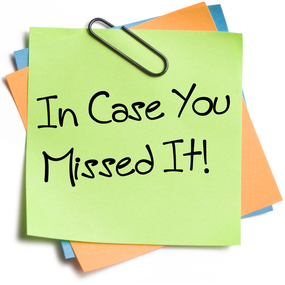 STICK TO THE POINT: Be clear and concise with your message. Be sure to state the action that is needed, and include bill numbers if you are referring to specific legislation. TELL YOUR STORY: Share your unique perspective and personal anecdotes. How would taking action improve your life or those of others around you? BE RESPECTFUL: Extend the same courtesy to lawmakers that you expect students to extend in your classroom. READ IT AGAIN: It’s easy to make mistakes, especially when you are short on time or are passionate about the topic. Double-check spelling and grammar when writing a letter. Even better, ask a colleague for feedback before sending the letter. Amanda Raupe's students congratulate her on winning the $25,000 Milken Educator Award. To see the video, click here. Photo courtesy Milken Family Foundation. Congratulations to our Newest Milken Educator! 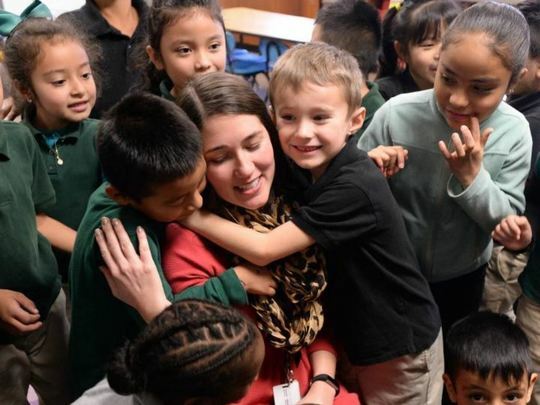 First-grade teacher Amanda Raupe got the surprise of a lifetime when she was awarded the prestigious Milken Educator Award at a school assembly Jan. 11. The prestigious award is among only about 35 that will be awarded this year nationwide and comes with a $25,000 unrestricted cash prize. “My mouth just dropped open, and I had nothing to say. I couldn’t believe it. I thought, ‘I think I’m dreaming. 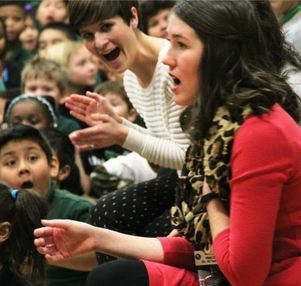 I really think I’m dreaming,’” said Amanda, who teaches at Hilldale Elementary in the Putnam City Schools district. Amanda is the 27th Oklahoma teacher to the win the award since 2000. She is known for her thoughtful, high-impact ideas born of intense research. Solutions-oriented, she studies assessment data regularly to create small, flexible learning groups that change as students reach their learning targets. Her students, many of them English learners, catch up in her class, with each surging up at least four levels on reading assessments in one year, and many jumping to eight levels—double the expected growth rate. She has only been teaching six years but is already a mentor within the district and in the community at large. To see KFOR’s heartstrings-tugging video of Amanda winning the award, click here. For more information about the award and for more photos of the event, click here. To see a video of Oklahoma Milken winners over the decades, click here. How does Oklahoma Teacher of the Year Jon Hazell stay positive and energized after 34 years in the classroom? “What makes the desert beautiful is that somewhere it hides a well,” Jon says, quoting French writer Antoine de Saint-Exupery. He describes one of the most critical components of his calling as finding the spring of life beneath the surface of every child. Jon says a common cause of teacher burnout and dissatisfaction is falling into the trap of looking at a child and seeing the desert rather than the well (i.e. the problems, the poor attitude, the bad history or report from other teachers, etc.). A teacher’s focus ultimately shapes her attitude about her job. Jon’s answer is to bring out the jewels within his classroom. 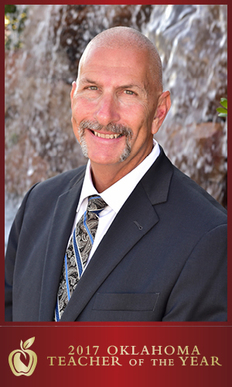 To find out more about Jon’s philosophies on being a treasure hunter, click here. Across Oklahoma and the nation, it is not uncommon to step into an early childhood classroom and find a teacher reading to a group of enthralled listeners. 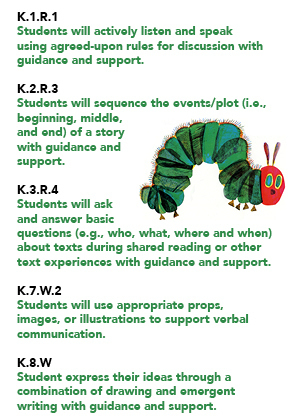 We would never expect kindergarten students to read The Very Hungry Caterpillar or Corduroy to themselves. By reading aloud to young students, we expose them to vocabulary, build comprehension skills, model prosody and create a love for reading. Since reading aloud is the foundation for literacy development, why not tap into this strategy for upper grades? All content areas can benefit from using read-alouds. Children who struggle with reading can listen to a read-aloud at a higher level than they can read. This makes the concepts and vocabulary easier to understand, which in turn allows them to gain a better grasp of the story being read. Read-alouds are often more complex than they seem at first glance. This is due to quantitative and qualitative measures of text complexity. The results of those measures are the basis of a Lexile score. Students at all levels benefit from read-alouds, especially in social studies. Read-alouds let students experience an issue before they tackle it in a more complex examination using documents. Let’s look at a movie doing very well at the box office, Hidden Figures. In class, the teacher might read aloud The Sneetches by Dr. Seuss, excellent for discussing prejudice and discrimination issues with children. When the Star-Bellied Sneetches and the Plain-Bellied Sneetches treat each other disrespectfully because of the stars on their bellies, students look at the pettiness of such prejudice. This discussion can lead to reading Martin’s Big Words and Dear Dr. King: Letters From Today’s Children to Dr. Martin Luther King, Jr. All of these discussions point to a major theme in Hidden Figures -- how the women were treated by NASA. A young readers’ edition of Hidden Figures, written by Margot Lee Shetterly, allows interested students to read more. The lesson can end with students writing a letter to Dr. King about what he would see today if he were in the United States or to Katherine Johnson about her struggles at NASA. Engaging in such meaningful activities and discussions before diving into textbook content and documents such as Dr. King’s I Have A Dream speech or his Letter from Birmingham Jail, help students to build background knowledge and experience with the material they are studying. This lends itself to the concept of heroes, standing up for what is right, civil rights topics and points of view. The teacher has also worked smarter, not harder by bundling social studies and English language arts skills into the same lesson. Educational weather videos like this one can now be found at the News 9 Weather 101 web site. 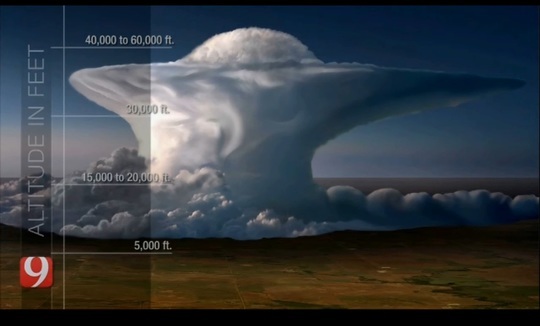 Click here to watch How Thunderstorms Form. Griffin Communications has expanded on its free weather curriculum, with new lesson plans and activities now available for grades K-12! Teachers can choose from either the Oklahoma City-area News 9 site or the Tulsa-area News on 6 site. SCIENCE CAMP: Applications are now being accepted for the 2017 National Youth Science Camp. The NYSCamp is one of the nation’s premier programs in secondary science education, and delegates attend at no expense, transportation included. Only two Oklahomans will be chosen to attend the camp in West Virginia this summer. The application deadline is March 1. For more information and to apply, click here. FOUNDATION AWARDS: The Oklahoma Foundation for Excellence is seeking nominations for its 2017 Outstanding Program Awards for Local Education Foundations. The foundation annually recognizes innovative programs sponsored or administered by public school foundations. Recognized programs may include but are not limited to: arts integration, student leadership development, mentoring, curriculum enhancement, student scholarships, professional development for teachers, public relations and fundraising. The deadline is April 3. For nomination forms and instructions, click here. TEACHER PAY PROPOSALS: The new legislative session starts Feb. 6, and more than two dozen bill have been filed to boost teacher pay. To read an Oklahoma Watch story summarizing several of the bills, click here. WRITING CHANGES LIVES: One psychologist claims to have nearly erased the gender and ethnic minority achievement gap for 700 students over the course of two years with a short written exercise in setting goals. “The act of writing is more powerful than people think,” Jordan Peterson says. To read the NPR story, click here. $2 MILLION GRANT: Oklahoma has won a $2 million statewide grant for early college, career initiatives. The grant will help implement individualized academic plans for kids, redefine the senior year, increase concurrent and dual enrollment with earned college credit and career certification, and better connect schools directly with business and industry. To read the story, click here. FREE ACT OR SAT: Oklahoma public school districts will get to choose whether their 11th-grade students can take the ACT or the SAT college-entrance exam free of charge this year. To read the story, click here. Miss America 1967 Jane Jayroe, Architect Rand Elliott, musician Chris Wiser, former TV anchor Jenifer Reynolds, comic book artist Jerry Bennett and singer-songwriter Maggie McClure. Do you have ideas to share with teachers across the state? Engage with other teachers to build your skills and inspire your creativity. Do you have questions for the OSDE? Stay informed. E-mail your contributions and concerns to Annette Price, communications and constituent services specialist. Annette has experience teaching at the early childhood, secondary and adult levels.